I have noticed that a lot of you my audience resonates with what this post is all about, so this has prompted me to create a 5 point action plan for any mom that wants to take proactive steps to beat the struggles of the stay at home mom. This work book comes packed with action plans that will move you from struggling with your day as a stay at home to creating actionable steps that will move you to enjoying your new role. The word stay at home mom evokes a lot of different pictures in peoples mind, for some, it’s a word used to describe women who don’t like to work but prefer to sit at home and watch movies all day in the name of looking after their kids. I really wish it were so but I do know now it’s not so. Stay at home mom is a woman who wears all the hats there is in the home plus some more without having the attendant payment to show for it. When a woman chooses to be a stay at home mom, it’s often a huge sacrifice she has to make in other to see that her home is well run or in other to see that her kids have the kind of training and nurturing that she desires. Some women have been known to leave lucrative careers to become stay at home moms because the effect of leaving their lovely ones in the hands of other people to care for became too much to bear. They therefore chose that off the career ramp option to care for the most important people in their lives. For some people it may make sense for others, it may not because after all is said and done, it’s the investment you put in your family that matters most. Children don’t care if they are in the most expensive house or car or wear the best clothes, as long as their parents were there for them when they needed them most. So today I am going to share with you the 6 things that stay at home mom struggles with because I have been there too and I know what it feels like. If you are a first-time mom who just chose to stay at home, this may resonate well with you, that feeling of do I know what I just did? I mean I just left my well-paying job to stay home to take care of my baby. Sometimes you may feel like even the mom job you are not doing so well at it. At least for your paid job you were well trained, but to become a mom, you had no prior training and yet you are expected to be perfect at it. You feel inadequate because you are trying to cope with having to leave a career that once defined what you could bring to the table at home. Not to mention the fact that your new job does not have any job description attached to it. There is no end to where your job stops, you are the nanny, caregiver, nurse, housecleaner, and any other thing that comes in between including cook, driver, encourager and the list goes on. While you struggle with coping with all these issues, guess where your report card is shown, at places where you get some judgmental looks or comments for not getting your act together as a mom. From those who think that by giving your child the bottle, you are just being lazy. “every hard working mom should be able to breastfeed exclusively for the first 6 months of a babies life”, does this sound like a familiar jab? Well for me I tried it but it didn’t work, in fact I got sick before it dawned on me that everyone has to find what works for one in this journey of mommyhood. My first son loved the bottle, my daughter liked breastfeeding a lot, in fact, she refused the bottle and went straight to eating solids. So what do you do with all these struggles that you are facing? I would like you to know, that the first time you start as a new stay at home mom, it will seem strange to you just like when you resume your post on a new job, but with time, you will find your rhythm. From there you can then begin to try out new things and see what works and what doesn’t work, you can then decide to throw out what doesn’t work for you and choose what you are comfortable with. And who says that as you go along you won’t acquire the experience which you can package and sell out to new moms like you for a fee. The interesting thing about being a stay at home mom is that you don’t have a specific work time. From the time your feet hit the floor in the morning time, assuming you had all night sleep which is often a mirage when your kids are between ages of 0-4 years. Your work is almost like a round the clock work from fixing breakfast, lunch, and dinner to cleaning the home, running errands and shopping. You are practically at work even when others are having a break, no wonder you sometimes feel overwhelmed and overworked. You may also feel underappreciated when you are not being praised for the work you do at home. Some husbands have been known to come home and say, “ honey what were you doing all day that my dinner is not yet ready”?. No one understands the many times you have to calm a crying baby or break up siblings quarrels or even act as a judge and jury. It can make you feel like your energy is being sucked out daily. My little advice about this is to find that time to rest during the day, if it means putting the kids to nap in the afternoon and taking your own nap too to get your energy back please do so. Of course, it may mean that some things won’t get done perhaps a scattered house or unfolded laundry, but like I always say, a grumpy mama is no good to anyone. So always find the time to tune off during the day and just relax. It may not necessarily be sleep, sometimes I find that just sitting and watching cartoons with my little ones helps me to relax. You can also choose to quit trying to have everything in the perfect place in other to feel alright. Now if you are a hubby reading this, know that appreciation goes a long way to make a stay at home mom’s day better. A night off duty will be nice, a back rub here and a foot massage there will make a world of difference. When you are a SAHM with a baby at home, the only company you will have is that of a kid, while that is lovely I mean who hates the company of her babies, but sometimes you want to have adult conversations. Were you to be working outside your home, you will often meet new people or at least converse with people like yourself but for a stay at home mom, it’s often baby talk all day long until hubby comes home. This might look good on some days at least you have some time to think things through and strategize without any distractions. Unfortunately, this may not be the case always because the same distractions can come from children too. So what does a stay at home do in this case? I say in any case be involved in online forums where you can discuss issues that bother you or vent on what you are going through. When time permits, pick up the phone and call a close friend or family member with whom you can spend time discussing with or exchanging ideas with, this will make you feel a lot better. If you are working from home as a blogger or doing any form of online business, belonging to an online group of people with the same challenges as you can help you gain a better perspective of issues you may be dealing with at that particular time. This aspect of the struggles of a stay at home mom is very controversial. For some, it’s the constant struggle to stretch the money available to cover all the household bills, for some it may be that you don’t have enough to last you throughout the month. For some, It may be that you just have just enough but not excess to take care of some niceties that you are used to when you were working outside the home. While for some people finances may not be the problem but just the feeling that you are not earning anything at all and so you are a one income household. Whichever divide you fall into know that there is a way out of it, working has been redefined so much right now that you can earn your income even while staying at home, if finance is a major issue for you, then consider ways of working from home to earn extra income. Here are a few options to earn extra income from home. -offer your services as a freelancer from your home by signing up on platforms such as Fiverr. – Apply for online or work at home jobs. Which ever way, you choose to do it, there is a way out, you don’t have to feel like your finances took a nose dive and you can’t change it. Sometimes you may discover that starting that home business was what you really needed to take your family off the 9- 5 rat race. If starting a home business is your thing, then consider reading my post on how to choose the right home business for you. Have you ever gone for an outing where you bumped into an old school colleague or work mate. You started discussing about your field of study or work and you felt left out because a lot has changed without you being aware? This happens particularly when you are a new mom, for the first one year and especially the first 6 months its like you are underwater, your life is practically buried within fulfilling your babies needs. First-time moms can resonate with this better. If you carry on discussing you may feel like you don’t seem to know the trends that are even going on now, thanks to your new job, stay at home mom Lol. Seriously those feelings of being left out if left unchecked can begin to make you resent your decision. But before you go feeling sorry for yourself or getting angry, understand that you need to remind yourself the reasons why you made your choice in the first place. Make peace with the fact that you may not know a lot of things that are currently going on in your former field of work due to your new position, but you can begin to make amends by building and connecting with people who are on the same journey as you are. Keeping up with colleagues from your former field of influence may not be useful to you if you are not planning to continue in that line of career. Realize that you have changed career, and focus on what you must do in the now to get you quickly ramped up on the new journey you are on. It may mean taking courses to get you ready if you want to start a home business or even starting out without training at all that way you learn the hard knocks your own way. Either way, you are gathering knowledge that will aid your journey as a stay at home mom who wants to work from home. 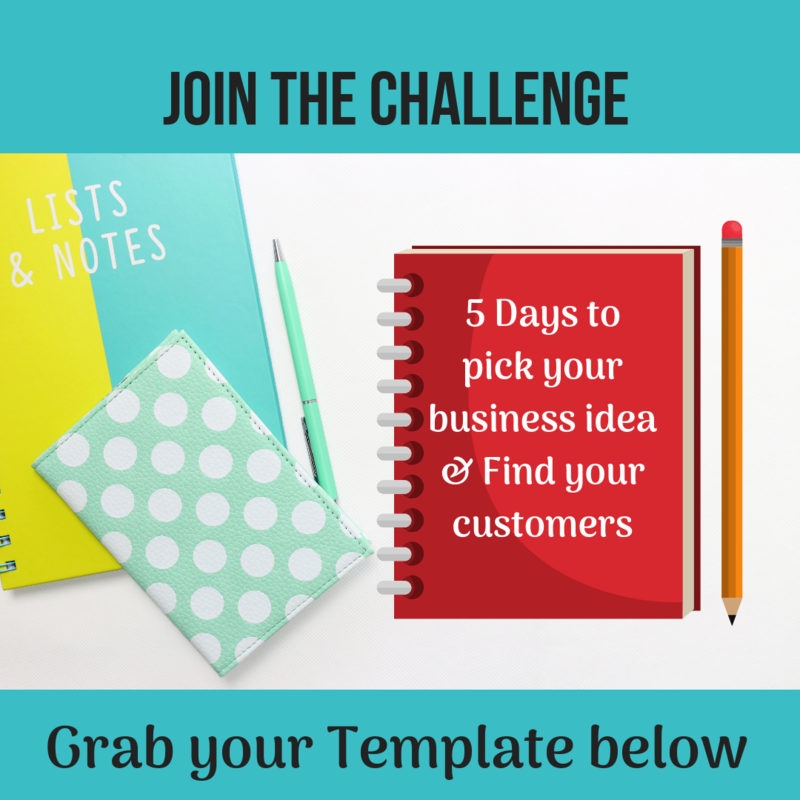 If you have been brainstorming ideas about different types of home businesses you may need to read my post on 5 posts that teach you how to make money online. The truth is that being a stay at home mom doesn’t mean that you can’t utilize your skills in other ways to earn money. With the advent of blogging these days, all forms of knowledge are now monetizable. For example, who knew that you could sell your knowledge on how to organize your home, take care of a newborn, keep yourself fit e.tc. In fact, information that used to just sit with you doing nothing has become sources of income.The online media has made it possible to be able to share such information’s now and make good money from it. Do you consider Blogging as one of the avenues to sell your knowledge online, then hop on over to my post on how to start a blog when you are not a techie and learn how to start a blog in as little as 2 hours. As a stay at home mom, there are times you just feel like you really want a leave, I mean people who work 9-5 have that opportunity of taking a leave to just go home and relax and recharge before going back to work. But for the stay at home mom, she doesn’t get to get that time off. There are no leave days, where are you leaving to? , your home is supposed to be your leave escape but now you get to stay in it every day and it doesn’t look like it will make for a leave escape anymore. The good thing about this situation is that you don’t have to apply for your leave in other to take one. Or technically you can apply to your hubby to take a leave from work and stay home so you could take the much-needed leave in other to refresh and recharge. You can choose to go out that day with friends and just have a girls day out or better still visit a close family member whom you can relax in her house and feel like you are in your own home and on holiday without the attendant stress of having to care for your home. Maybe you can go for a mini holiday to a nearby tourist attraction and just spend time alone, pampering and recharging yourself. Of course, there will be a time and place for family vacation but this little time out is for you alone. So you can be a better mother to your kids and give your best to them. Thinking of taking that mini vacation then try using Booking.com, they have excellent services for your vacation needs they have budget hotel rooms if that suits you. Do you know of any struggles that a stay at home mom has to deal with, leave a comment below, it will be appreciated? Join my email list to get access to my podcast for stay at home moms. I have so much respect for SAHMs. They do and sacrifice so much. I hope I have the opportunity to be a mom one day and do the same. I can definitely relate to all of these – I craved adult conversation so much on some days, and I was constantly worried about finances and contemplating whether I should return to work. I think my greatest struggle now, the second time around, is trying to balance working online with looking after two kids. Most days I get ZERO work done. I think we are practically in the same boat. I have two kids and a little one about 6 months old. I started this blog when he was just two months old. But I love what I am doing so that compensates for me. My fiance and I plan on trying for kids in the next 2-3 years, and when that happens, I’ll make the transition from working full time to being a stay at home mom. It’s one of the things I most want to do in life, and it’s nice to have a partner who wants the same thing and supports my desires, but I know the reality is nothing like the dream in my head. I’ve been trying to prepare myself for the truth: that being a stay at mom is not easy, and that I’ll be underappreciated by my own kids, other moms, the media, probably even my own husband from time to time! It’s definitely not playing with cute babies, going to the park, and relaxing with a book all day. It’s hard work. One of the things I worry about most is the fact that I won’t be contributing financially any more, and the potential resentment that can come with that territory. That’s why I also am working now to build a business that I can operate from home when the babies do come! That’s a great one Beth, the good thing is that you are already preparing yourself for what is to come. I believe by the time you get there you will be well prepared financially to face that aspect of your life. At least you are not like some of us that worked into it by chance. I know it will be a smooth transition for you. Cheering you on. What great post on how much hard work it is for stay at home Moms. You ladies are rock stars. Also, good reminder to us all to pick up the phone and call a mama friend here and there! Sometimes with social media, we have that feeling that we are connected to our friends but nothing beats the voice of a dear friend. I stayed at home as a mom all during my kids growing up, and you are right on with all these points. I’m so glad I did it, though! I joys outweighed the sacrifices! Thanks, Carmen, I will be following up on you, I guess you have a lot of experience to share. These are pretty spot on! I work from home & take care of our son so I can relate to almost every single one. It’s nice to know other SAHM have the same thoughts! I feel like you have taken the words straight from my heart. I can so relate to this post! I have been trying to do little things here and there for extra money. It gives me a sense of purpose. Thanks for your comment. I am glad you can relate to it. These are all great insights into the feelings a stay-at-home mom has to face. It makes me appreciate my mom a lot more, especially the bit about never really having time off until the kids go to school. I do agree with you, you can never quite appreciate what your mom did for you until you become a mom yourself.